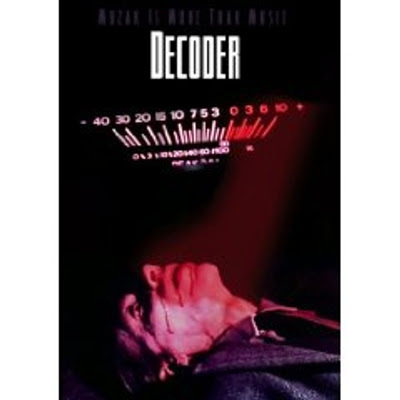 DIL23's Blog: Decoder on DVD!!! At last - the legendary german cult film by Klaus Maeck featuring performances by Uncle Bill Burroughs, Genesis P.Orridge (Throbbing Gristle), F.M. Einheit (Einsturzende Neubauten), Christiane F. and more is out on DVD with english subtitles! Includes all the 'usual' DVD extras and also an audio CD of the soundtrack which features Soft Cell, early Einsturzende Neubauten, Matt Johnson (The The), Dave Ball and Genesis P-Orridge, and William Burroughs.